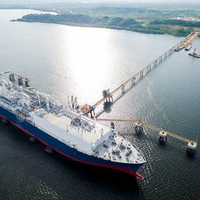 Qatargas, the world’s largest LNG producer, supplied a commissioning cargo for India’s Ennore LNG receiving terminal, near the southern Indian city of Chennai.The commissioning LNG cargo was delivered onboard the vessel ‘Golar Snow’ on 25th February 2019 by the Swiss commodity trader, Gunvor, to the state-owned Indian Oil Corporation Limited (IOCL), which owns and operates the five million tonnes per annum (MTPA) terminal. 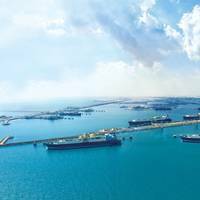 Qatargas sold the cargo Free On Board (FOB) basis to Gunvor.Ennore will be India’s fifth operational LNG terminal and the first LNG terminal on the East Coast of India. 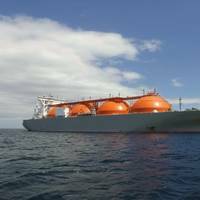 Bangladesh has put aside two smaller liquefied natural gas (LNG) projects with trading houses Gunvor and Vitol to focus on two larger LNG import terminals, one of which is already in use while the second will start up in March.Bangladesh has turned to LNG to offset falling domestic gas output to feed industrial demand and electricity generation in a nation of 160 million people where a third have no power supply.It aims to import 17 million tonnes a year of LNG by 2025, which in today's terms would make it a top five importer. Ulstein Verft has signed a shipbuilding contract with the Germany-based Bernhard Schulte for a service operation vessel (SOVs) of the ULSTEIN SX195 design type developed by Ulstein Design & Solutions. 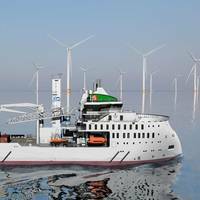 The vessel will support the maintenance work of GE Renewable Energy at the German wind farm Merkur Offshore.The project has been developed in cooperation with WINDEA Offshore, which is the Bernhard Schulte's affiliate for offshore wind projects. "Ulstein Verft is a very reliable yard and we are eager to start working together with ULSTEIN again. 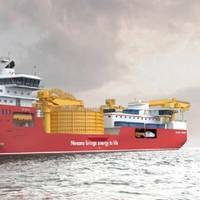 Nexans Subsea Operations has signed a shipbuilding contract with Ulstein Verft on the construction of a large, DP3 cable laying vessel. 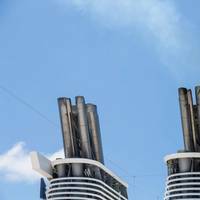 CEO Gunvor Ulstein, Ulstein Group, said: “We are very pleased that Nexans, a solid and important player, chooses Ulstein to construct their new flag ship. 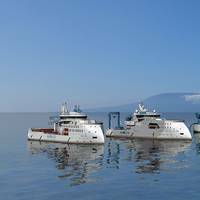 We have a strong organisation with long experience in delivering advanced vessels. The contract was won in tough, international competition. We look forward to a constructive and fruitful cooperation with Nexans in the years to come”. A new ship holding company has been formed through a joint venture agreement between physical energy trader Gunvor Group, ship management company Oceangold Tankers and investor Maas Capital.The three partners hold an equal share in the new company, ClearOcean Tankers, which has been incorporated in Cyprus.The new joint venture company has entered into shipbuilding contracts for six vessels from South Korean shipyards, including four MR2 product tankers from STX Offshore & Shipbuilding Co. and two LR2 product tankers from Daehan Shipbuilding Co.
Gunvor will lease the floating storage and regasification unit (FSRU) for ten years from the Belgian gas tanker company Exmar. "Exmar is pleased to announce that it has executed a fully effective ten year charter with Gunvor for the provision of its FSRU (floating Storage and Regasification Unit) barge and related services in Bangladesh," stated a press release from the company. The Exmar FSRU barge is currently at Keppel Shipyard undergoing site specific modifications after having been delivered from Wison Offshore and Marine in December 2017. Vitol seen storing gasoline off Singapore as local onshore light distillates stocks at record levels. 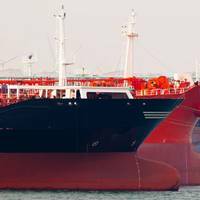 European trader Vitol is storing gasoline on tankers offshore Singapore, Asia's biggest oil trading centre, for the first time since 2016 amid oversupply and weak demand for the fuel, said four people that participate in the market on Wednesday. 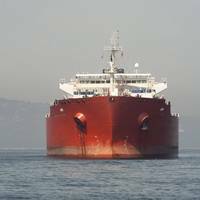 The sources said that Vitol was seen storing gasoline aboard more than one so-called Long-Range (LR) tanker. The company does not typically comment on its trading operations. 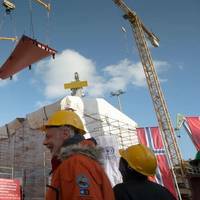 Lindblad Expeditions Holdings, Inc., a global provider of expedition cruises and adventure travel experiences, and Ulstein Group, Norwegian shipbuilder and ship designer, celebrated the keel laying of Lindblad’s first polar new build. The keel laying at the CRIST shipyard in Gdynia, Poland, marked a milestone in the construction of the sophisticated expedition ship, and served as the official naming ceremony of the line’s latest addition to the Lindblad-National Geographic fleet. United States taking share from OPEC nations in Asia, Europe, as China’s biggest U.S. crude buyer to double imports. In the two years since Washington lifted a 40-year ban on oil exports, tankers filled with U.S. crude have landed in more than 30 countries, ranging from massive economies like China and India to tiny Togo. The repeal has unleashed a flood of U.S. shale oil, undercutting global crude prices, eroding the clout of the Organization of Petroleum Exporting Countries (OPEC) and seizing market share from many of its member countries. 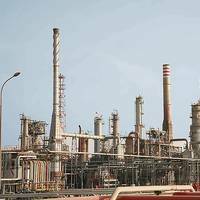 Gail India launches tender to sell 24 liquefied natural gas (LNG) cargoes from the Cove Point export facility in the United States in 2019-2020, according to trade sources. 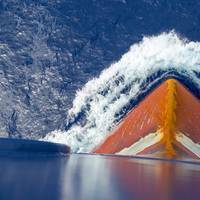 The tender is split into three tranches, with the first tranche offering six cargoes in the first half of 2019, six in H2 2019, and 12 in 2020, traders said . 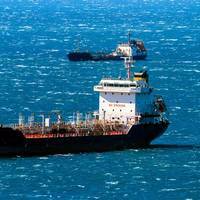 Prospective buyers must bid for all the cargoes in any given tranche. Gail purchased 2.3 million tonnes annually from Dominion Energy's Cove Point export plant, with an added 3.5 million tonnes annually due from Cheniere Energy's Sabine Pass facility in Louisiana. 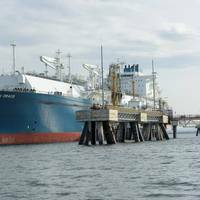 Bangladesh has shortlisted global commodity traders Trafigura and Gunvor to arrange the installation of two floating liquefied natural gas (LNG) import terminals in 2018 as the country transforms into a major LNG consumer. 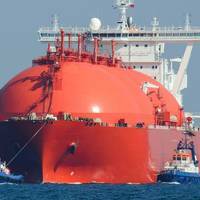 "Trafigura and Gunvor have been shortlisted out of 13 companies for two 200 million cubic feet/day LNG import terminals," a director at state-run energy firm Petrobangla's LNG division told Reuters. 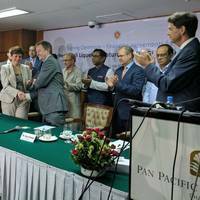 Petrobangla will hold talks with the companies and deals will then be finalised, he added.